You know when it's been almost four years since a band released their first album, and you're starting to question if the second one is ever going to reach your hands? Yeah. 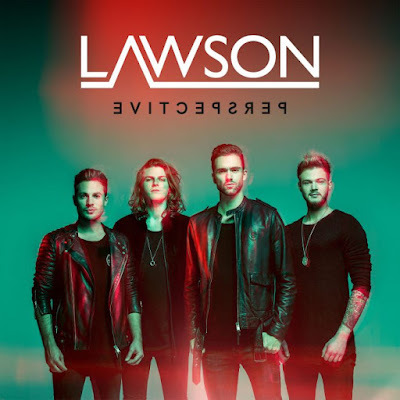 But fINALLY, Lawson's second album, Perspective, is out and I am glad. And even better news: it's incredible. Prior to the album's release, the band have put three singles out, all of which are incredibly catchy and the kind of thing you want to hear on the radio. Roads was the initial hint at what the second album was to feel like, and it was a great start. 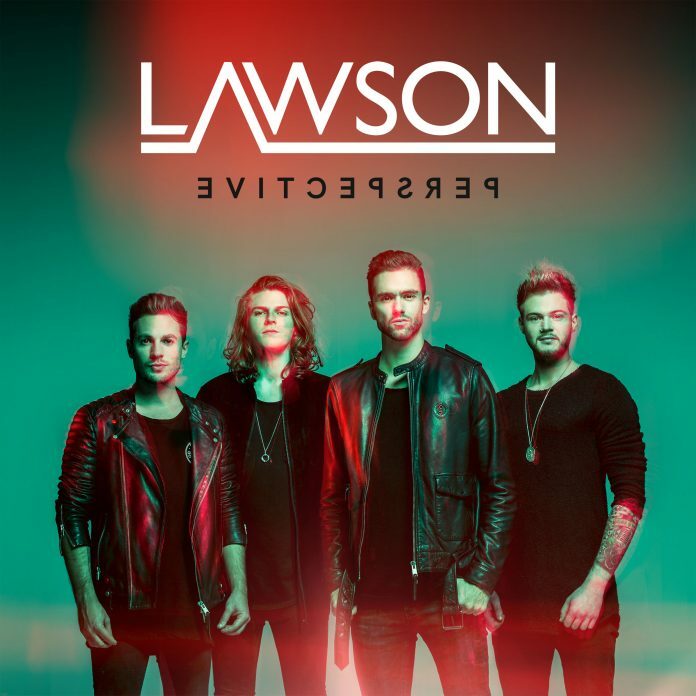 One of the main things I love about Lawson is how they can be so versatile and yet what you hear from them always feels somewhat familiar. They consistently show their capability to find the perfect blend of experimentation and the intimacy of their original sound. Where My Love Goes is the perfect ballad, but the way it's stripped back to match some of their acoustic tracks adds something extra special, and of course the video offers something even more wonderfully memorable. Money is the pop/rock song you've been waiting all day to hear on the radio. It raises spirits with lyrics that will resonate with most people. Rio is groovy as heck. The beat makes you want to get up and dance long before the chorus hits. Bringing visions of carnival and dancing along the Copacabana with the city lights in the background, this song is one that makes me want to go out and live for the here and now (ideally somewhere warm and beautiful (like Rio)). Another stand out track (aren't they all though), is Lion's Den. This one I initially found very different, but all the greater for being a less familiar sound. It makes me think of a much (much) darker version of Juliet, with the same themes drawn out, but a bit more drum and bass. It's also got a killer guitar solo at the end; all hail Joel. Love and War feels monumental, ending the album on a high and low at the same time. Though the song is very grand in composure, the lyrics are pretty sad but accepting, nonetheless sending the album out with a bang. It feels like the perfect song the follow on from Used To Be Us, which again has lyrics that lead us towards an ending. Here the drums create more of an emphasis, with a powerful bridge to the chorus, leading up to a couple of short but spectacular guitar solos. There are two songs in particular that hit your heart so hard it may well break I Look Anyway is perhaps the bolder of the two, with a strong sound that really expresses the heartache of the lyrics, conveying them perfectly. Only Water though, Only Water kind of broke me. Probably because it feels like the Volta of the album, turning from the happier sounds to the devastating, and where you were so high, you're suddenly lower than ever before (ever before in the last twenty minutes anyway). The lines 'Sometimes I don't know myself, and I find I'm in tears when I least expect it' are probably the saddest, because they're the most relatable. I felt semi-okay when they were sang the first time, but when those words come back again with backing vocals and the full instrumentation, there's something so, so moving about them. It's like an inescapable sense of grief, but the fact that the vocals are shared makes it more bearable, like there's a shared grief rather than bearing the burden alone. The two songs that make me the jolliest, because we're going to end on a high here, are We Are The Fire and When I'm Old. Where the former brings a strong sense of determination, the latter brings out all the love and life in my heart. We Are The Fire makes me feel like I can do anything, and it sounds like the perfect song to start off a gig, in the same way that it's the perfect album starter. But When I'm Old, oh golly, it is the loveliest, cheeriest, happiest song I've heard in a long while. And it's everything I want to hear from this moment on. Overall, this is an album than earns five stars and then some. And I can only hope that it's heard all over the world, and that this band receive all the success and recognition they deserve.